Following the unexpected death of her father, a deaf and mute teenager moves in with her godparents, where she discovers the cruel behavior of their daughter may be indicative of a dark secret within the family. Courtesy of Messy Music Inc.
Q: Is there more to the ending that the film didn't lay out? Watch the Korean version first. Watch the Korean version first. This version will just act as a spoiler. This is Hollywood just taking the short cut. Look at what is huge in other countries and ripping it off. I was fortunate enough to see the Korean version first, if I hadn't this would have lessened the impact. The acting was only OK. A lot of the emotion was zapped out of the story. 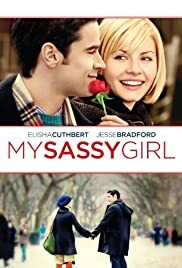 In the Korean version the Sassy girl was played and presented better. You knew there was something intriguing about the girl. She seemed emotionally hurt. In this version she seemed more psychotic, She just seemed to attack.